Welcome to The Factory! 24/7 Access for you and your entire immediate family, limited Discount Guest Passes, limited Free Guest Passes, Lessons & Group Discounts, Apparel & Merchandise Discounts... You will also qualify for our "Refer-a-Friend" Annual Membership Program once you are a member to earn free months of riding for both you and any future friends you talk into joining our life changing facility. First of all, what do you Ride? 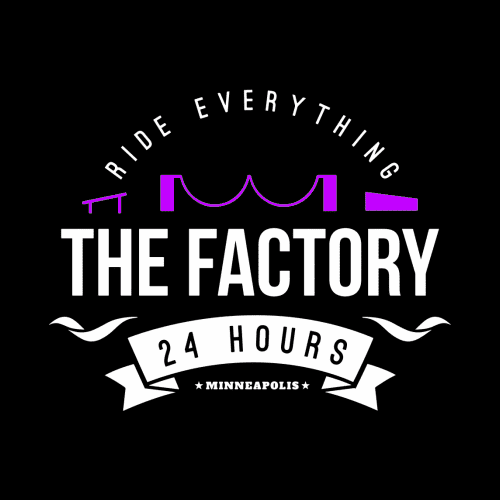 For those who have already been to The Factory, Feedback is Key, and we'd love to hear about what The Factory means to you or your family. Would you be open to writing a few short words or paragraph as a Testimonial that The Factory could use in the future to help our facility recruit new members, new partners, etc? Your words can be extremely powerful, and greatly appreciated. Lastly, are there any other fun notes or facts about you that you'd like to share ? Other hobbies, your line of work, things you want to learn, etc... We'd love to know more about you! Member Profile Photo Card: Every member also needs to submit their own "member profile photo" to The Factory after signup. This will be printed, sealed, and used to "check in" and "check out" every time you are inside the facility. No goofy photos, white/light background is required, shoulders & above, think of it as a drivers license or passport photo. Otherwise we will ask for a new photo. Hats or helmets no problem! Any white wall behind you at The Factory is perfect. Include all riders in one photo if you are a family, you'll have one family card to check in with. Every single member will need this moving forward to ride, and the best part is, it will be kept on site at The Factory so you will never need to remember to bring it with you. Simply move it from our "Members Checked Out" Wall to our "Members Checked In" Wall. If you are ready now with your photo, you can do this right here on our website in a new window by clicking here, otherwise please submit this shortly after you finish checking out.